Helsby runners were out at Parkruns on Saturday at Delamere, Widnes, Ellesmere Port and Warrington. Highlights include PBs for Chris Baynham-Hughes and Ellen Harris at Delamere and a 2nd place finish for Colin Thompson at Widnes. Well done all! 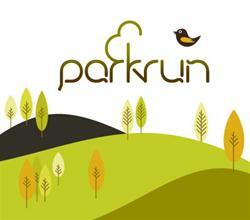 Full, consolidated Parkrun results for Helsby RC members can be found at the link below. Also on Saturday, Helsby members Max Wainwright, Phil Roberts, Ian Houghton and Phil Gillard journeyed to Bleasedale for the 5 mile long Circle Fell Race with Max first home for Helsby in 7th position overall. Also on Sunday was Rhyl 10 mile race where Darren O’Connor, Gaz O’Connor and Helen Owens braved the windy conditions along the Rhyl seafront. 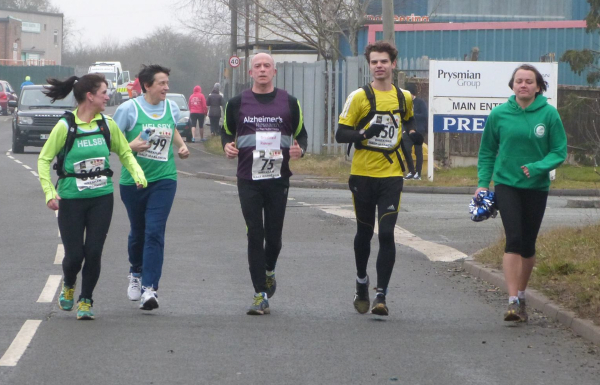 Darren, in his first race in a Helsby vest, got his 2015 off to a storming start to beat his target time by a over 5 minutes while Helen Owens secured 3rd place in the F35 category. Just a couple a quick reminders: Wednesday is the 10K time trial (including a shorter 6K option), meeting as usual at the club house at 18:30 before heading down to the start near the Wheatsheaf pub. Also, Sunday 11am is High Leigh 10K (race is full, no entries on the day), the 2nd club road counter of the season. Good luck to everyone attending either run. 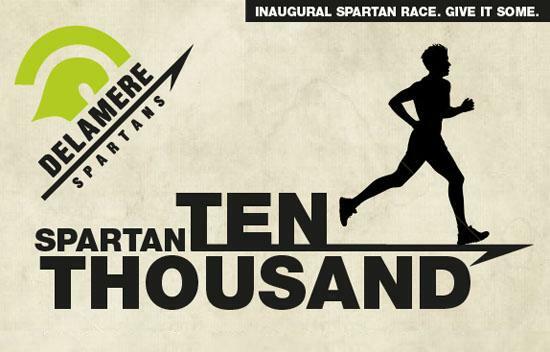 Brand new race from our friends at the Delamere Spartans. Looks great, plus you get free entry into the Manley Village Fete. With cakes. Ten k, 5 quid, Bank Holiday Monday 4th May 2015. 12:30 start. 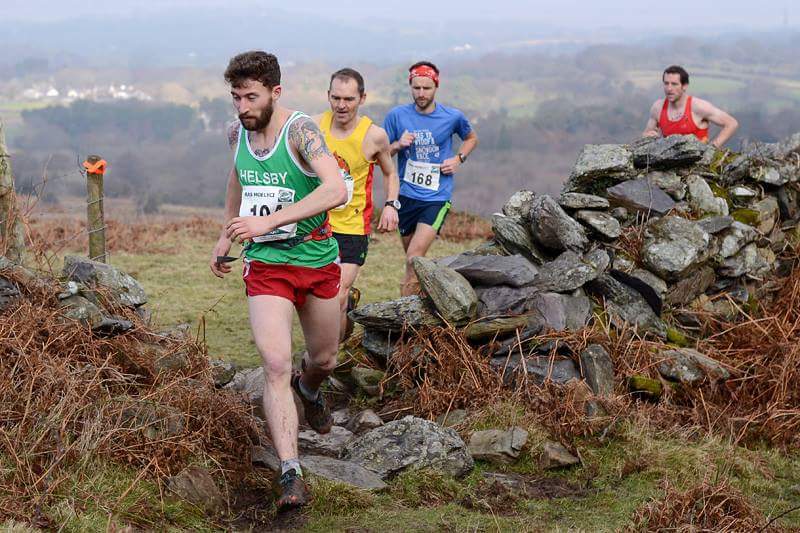 The mini-fell series is aimed at encouraging Helsby runners to give Fell running a go, our more experienced fell runners will offer support in these race. The series is open to all to participate and we will keep a ranking, however to be eligible for the trophies participants must have competed in no more than 4 fell races previously. Your best 4 races to count. The races are short, steep and thoroughly rewarding! a Wednesday evening in August/September (date TBC). • Waterproof whole body cover • Other body cover appropriate for the weather conditions including, as a minimum, hat and gloves but also e.g. a fleece • Map, preferably waterproof, of the race route and surrounding area • Compass suitable for navigating the course (GPS type equipment is not acceptable) • Whistle • Emergency food (long races). Please see websites for entering and race details and to check start times. Lots to get through this week, thanks to all for the race reports, keep them coming! Our first road counter of the season and a huge 16 Green Army members travelled to Wrexham Industrial Estate to tackle the 13.1 mile distance. 2 laps of an industrial estate is a little uninspiring but this course is all about fast times and with perfect running conditions and a flat course it was a tarmac slappers paradise which ensured PB’s galore from the Helsby contingent! First home for Helsby was Colin Thompson to take the maximum points with Chris Fitzpatrick and Gaz O’Connor following closely to both take a huge chunk of time off their PB’s which bodes well for their London Marathon ambitions in April. Degsy Morris had another stormer to go sub 90 mins and strong running from Ian Landucci and Phil Roberts saw a very competitive mens team on the day. Special mention to Paul Bulmer who, after months of preparation and training, pulled on his running shoes and managed to run a fabulous time of 2:34:09 which is a truly inspiring performance. Paul was running for his charity Alzheimer’s Research UK, full link below, it would be very generous if people could contribute to this charity to support his efforts. Over to the ladies and Joanne Lacking was in fine form smashing out a 1:33:13 for another PB and taking the chequered flag for the Helsby ladies and maximum points. Helen Owens and Michelle Hardwick were chasing hard and both had a fantastic run to go sub 1:45 and take 2nd and 3rd with Lesley Feakes following closely behind. Well done ladies! Shan McCarthy broke the magical 2 hour mark, but that wasn’t enough so she decided to break 1:59 also. That’s just greedy! Well done Shan, all the hard training has definitely paid off. Donna Geer also had a stormer taking a whopping 11 minutes off her PB, the lady is on fire, especially with that sprint finish in her armour! Rhea Thomas had her first foray into the half marathon distance and although she was a little disappointed with her time I would say that she had a great first race, a half marathon is a difficult one to judge with the pacing so you now have a base to build off and a bench mark to beat next time. Louise McEveley and Claire Morton both ran as guide runners for Paul to tidy up the Helsby pack. Thank you ladies. This week also saw the first Fell counter of the season. In hindsight a bit of a trek for such a short race which saw only four Helsby vests running, although a very simple drive maybe contributed to the far greater than expected overall turn out… or maybe that was the fact it was £4 for a race, soup and a roll; you be the judge! Max took no prisoners as he immediately took on “one time race leader” status. The difference between the rest of us mere mortals and Max is that he held on to that lead for quite some time – pictured above leading the likes of Matthew Roberts, Lloyd Taggart and Rob Grantham! Sadly Jimmy was relegated to a spectator due to an injury so Max had free reign at the front. Laura BH was also spectating on child care duty, but was gutted she didn’t bring her kit to bag the 20 points so early in the season. Andy Robinson, Phil Gillard and I panted and puffed at the back in a race which primarily featured the cruelest of gradients – the type you can run every step… just. For those of you that haven’t tried the fells yet I’ll let you into a secret… we walk every now and then! The switch of muscle groups and managing that switch correctly allows for a proper recharge before the next runable section. Check this great little video for a better impression of the wonders that are fell racing. Hopefully we’ll see you at a counter or at the mini series! Before I get back to the race I should say that Max has been trying to work on his running nickname. He’s tried to get “Mighty Max”, “Max the Magnificent”, “Wonderful Wainwright” and others to stick to no avail. I digress, but Max was well and truly living up to these names as he hit the summit right in there with the race leaders. The views getting to the summit were nothing short of spectacular; including an view of the Glyders from I’ve never seen before – inspiring stuff! A splinter group decided to head the other way and take on Parbold hill. No race report so the results will speak for themselves instead! 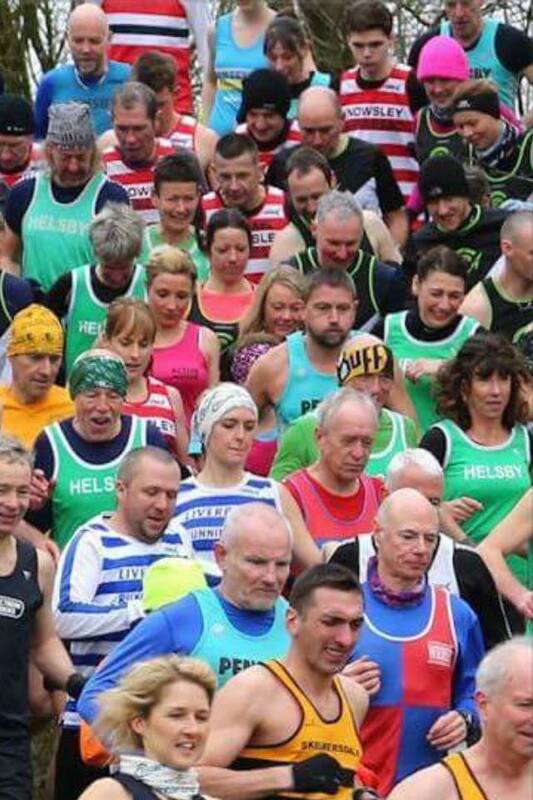 Great to see Helsby Vests out representing the club. Top work to all involved in what was clearly a stacked field. Vanessa also took home the V50 prize and was 23rd Female – awesome stuff! I spent Saturday run/walking the LDWA Anglezarke Amble, near Horwich in West Lancs http://www.ldwa.org.uk/WestLancashire/W/2968/anglezarke-amble-2015.html . 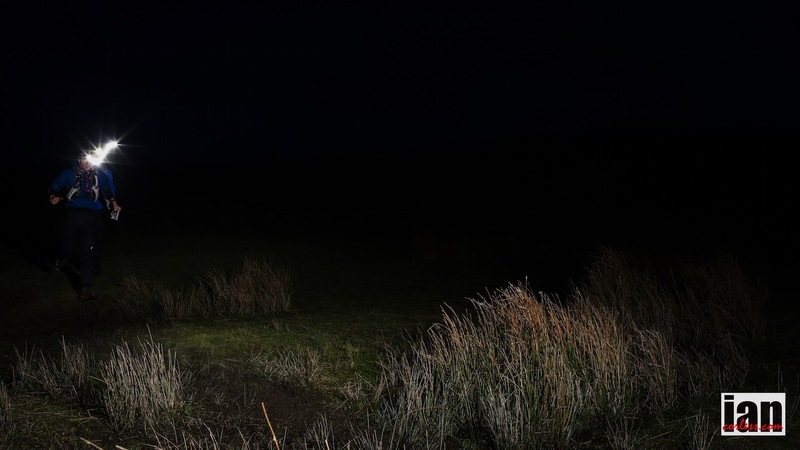 Underfoot conditions ranged from wet to terrible, and some moorland sections involved wading through full-on bogs. Because of this a lot of the course was pretty unrunnable, but there was good banter between groups of us as we slid around the hills and moors. 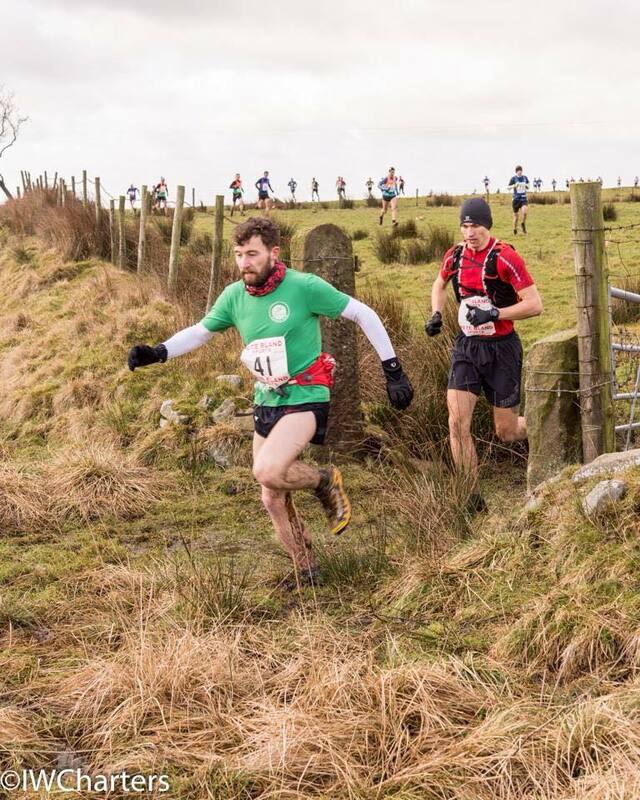 The course starts steeply – Rivington Pike and Winter Hill are climbed inside the first three miles – then becomes more ‘undulating’, with some fantastic downhills in places. Walkers have the option of a 16-mile course, but runners are expected to do the full 24.5 mile course which also takes in Entwistle and then Darwen Tower, before the courses rejoin to cross Great Hill. The cloud base was too low to allow any views at all, in fact the Winter Hill mast was virtually invisible even from 50 yards away! I became a bit ‘navigationally challenged’ coming off Darwen Moor, in virtually zero visibility, and had to use my compass in anger for the first time (and Google Maps on my phone, never write off modern technology 🙂 ) . Luckily I found the right path though. I timed the run at 5h 44 min. My official time somehow is 5.38, but these aren’t the kind of events where time desperately matters anyway. As usual with LDWA events, there were well-stocked checkpoints and a hot meal included at the end. And all for about seven quid! All the action described above did nothing to stop the Green Army taking on the local Park Runs. Results below – well done to all! Chips! oh, and a 45 minute film about Steve Birkinshaw’s incredible Wainwrights run last summer. Well worth a watch. 8:30 Wednesday at the club. Let Dave and Lesley know if you want chips. If you are in a race then a brief report will be fantastic, if there are other people from Helsby there then please decide amongst yourselves as to who will submit a report. Weather conditions were good. It stayed dry and hill fog that had threatened to descend only appeared for a couple of miles. The good visibility was in contrast to the conditions on the ground. The recent rise in temperature made for varied running conditions as we ascended and descended along the course. Ankle deep snow in a few places but mostly wet muddy and treacherous in places with thick ice – the grazes on my knees and elbows being testament to this. An enjoyable but tough course, particularly the climb on the last mile and what turned out to be a sprint finish around the cricket pitch as someone tried to pip me at the post. 71st – 3:33:00 – that’s a fair old distance there Jim! Phil Gillard and Jimmy O’Hara took to the long and mynding road! 7 miles of glorious sunshine, crunching through the snow, followed by 4.5 miles of gradients that only the Shropshire hills can provide. Clearly a stacked field with Jimmy coming in 75th (34th in Cat) – 2h22:58 and Phil Gillard taking 17th in his age category 118th overall in 2:37:48 Excellent work chaps! If anyone is in the area, I would recommend this race series – although it is probably too far to make the journey from Helsby. On the day this saw Helsby men in 4th and Helsby Ladies 5th overall in the team event. Series standings have the men in 4th, but the Ladies are in 3rd overall! The next race is at Birchwood on the 22nd, it’d be great to beat the turn out and the Green army cry, so take the plunge and have a go! Rhea Thomas stormed around to take 10th lady over all just 26 seconds ahead of Shan who took 12th Lady. Colin Bishop shot round in a tightly foughts race to take 3rd place, Janet Robertson also took 3rd placed lady and Louise McEvely took 6th lady. EP saw Neil Finegan romp home in 4th with a sub 20 minute run around a slippy course – Ben Williams slid into take 20th male. Widnes saw the greatest turn out for Helsby Alfie Grady, Carl Pratt and Dave Madders in 16th, 21st and 28th for the men and Carol Shaw, Donna Geer and Emma Barnes in 2nd, 9th and 13th. Spend just under 45 minutes with this heart-warming tale and you’ll enjoy inspiration, true grit, pain and extreme endurance all wrapped up in stunning cinematography, mind blowing views and beauty. This award winning film documenting the incredible journey Steve Birkinshaw took as he attempted to beat a Joss Naylor record by visiting all 214 Wainwright tops. An incredible feat of physical human endurance, sleep deprivation and an insight into the highs and lows of distance mountain running. There was a record turn out for the 10K and 6K time trials on Wednesday with 29 runners, including some runners new to Helsby RC, braving a cold, windy evening. There were plenty of PBs set with Ed Halliwell and Jo Lacking first home in the 10K while Chis Igoe and Vanessa Griffiths lead the way in the 6K. The full results can be downloaded by clicking the link in the panel to the left of this article. 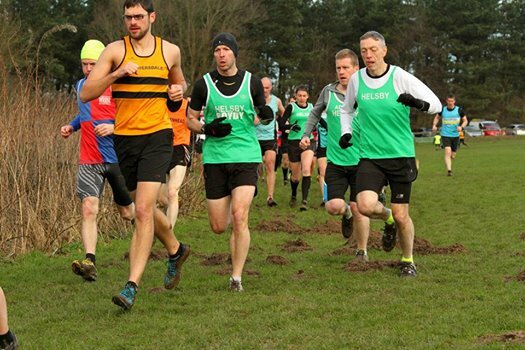 At Saturdays Parkruns Helsbys Max Wainwright won at Delamere, securing a PB along the way while Ade Jackson ran a PB time to finish 4th at St Helens. The full, consolidated report for Helsby RC Parkrunners can be found below. Sunday saw The Green Army travel to Beacon Park for Race 5 of the Sunday Cross Country League, It was an extremely cold morning with the 4.5 mile course very muddy underfoot. Helsby/ Lymm/ Warrington men finished 4th in the team race while the combined ladies team was 6th. Well done everyone for turning out in such challenging conditions. Yes it’s that time of the year where we have decided the club championship races for the year. 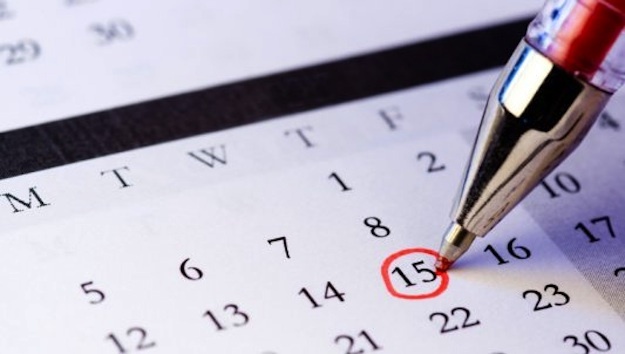 I will be sending out a separate email to all club members today along with links to the pre-populated race calendar links. If you’ve already got the ones from last year then you won’t need to do a thing as they will be automatically updated. We’ve got some real crackers in the diary and some exciting new developments for 2015 which will hopefully see even more of you toeing the line for the green army. 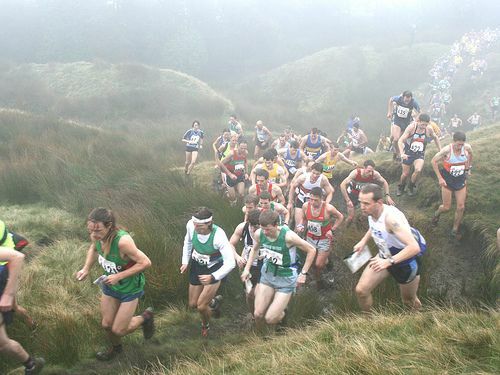 Saturday was my first fell race for a good number of weeks, I chose the Ashurst Beacon event from Dalton in Lancashire; those of you familiar with the Beacon Park XC course will know the area; Dalton is a few hundred yards from the park and is home to the beacon after which the park is named. It’s the kind of race of that lures you in; treats you gently to start with, feeds you nice terrain and indulgent descents down from the start line for 1.5 miles, gives you some nice gradual climbs as you summit Parbold hill, cossets you with wide descending paths allowing you to take advantage and pass some of those glass ankled road runners. It invites you to extend yourself more than you really should, much like a pay day lender………and much like a contract from Wonga the sting is in the tail. That indulgent 1.5 mile descent is returned with interest as you grind you way back up to the beacon but satisfying once it is all paid off. Last year I took on the Marmot Dark Mountains (MDM) race and it was easily the best race I did all year. A full mountain marathon squeezed into 1 night, in winter…. What could go wrong? We had every type of weather except sun, I was out for 15.5 hours on the most challenging of events, so when the entries opened I was first on the list. This year my partner had to drop out due to a hernia so I was stuck until Max ‘up for any adventure’ Wainwright stepped up – a quick pre-race photo and the Helsby duo were ready to go! We managed 1,2 and 4 but 3 was lacking for me. My lack of fitness meant I struggled to get into a running rhythm on the second half of the night. That didn’t stop us having a great night out as we worked well together, but it did mean our result suffered from where it could have been. The second thing I learned from this was that the event itself was so epic the previous year because the weather made it so extreme. Since I wasn’t fit enough to push it all event, as we slowed the terrain became all too familiar and lacked variety to keep even my childlike enjoyment on the boil – although we did managed some great synchronised falls/ twists on the large patches of sheet ice whilst been blown away by a gale force wind. In the end we finished in 3rd place in 10:51:05, just over an hour behind the winners (who won the A class last year too). We did a lot of walking in the second half so if my fitness had been in a different place then I’m confident we would have been significantly quicker and would certainly troubled the reigning champions…. Maybe next year! parked up in a retail park on the far side of the M62, then cantered through a foot tunnel under the M62 before doing a steady warm up gallop across the whole length of the racecourse to the starting blocks at the top of a hill in font of the race pavilion. The ladies race started at 1pm and consisted of two laps and the men’s race an hour later covering 3 laps. The excellent course was a mixture of rough grassland and short good quality parkland turf, a fast gradual descent on good quality mud, weaving in and out of racecourse water features (permanent lakes, brooks and temporary puddles of mud) with the return being a gradual uphill slope with some rougher grassland areas. Stockport’s Elle Vernon produced a measured performance to take the senior women’s title with an 11 second winning margin over Leeds City’s Emma Clayton. Rotherham who have a good record at this event took the team title with Liverpool Harriers second and Leeds City matching their men with bronze medals in third. The finale senior men’s race was a spectacle to watch where everyone was battling it out with Alistair Brownlee. With less than 500m to go Alistair came through just holding Stockport’s Andrew Davies off, but amazingly on the final hill, Andrew got the better of him and pulled away to put a few muddy metres between them on the final straight. Morpeth were first team in followed by Stockport Harriers and Leeds City. We all finished the day off dancing the night away at the Xmas Party, after having scrubbed off the mud! All in all an excellent day all round! Wow, thanks Jackie, sounds like it was a fantastic day out. Incredible to think that the finish was so tight and a field so packed it could put Gareth into 483rd place – must have been truly stacked! Sadly the mail was forwarded to the helsby-race-reports@outlook.com address rather than sent and thus the photos didn’t come through – I’m sure we can get them on the blog though! This week it would be wrong to start anywhere other than Widnes on the Park run front. With an overall win for Joanne Lacking and a 1, 2 in the men’s from the Colins with Mr. Bishop taking the win over Mr. Thompson by just 6 seconds. Not only that, Helsby favorite glove wearing member Roy Gaskill chose the occasion to signal a return to racing – the start of many more to come I suspect! 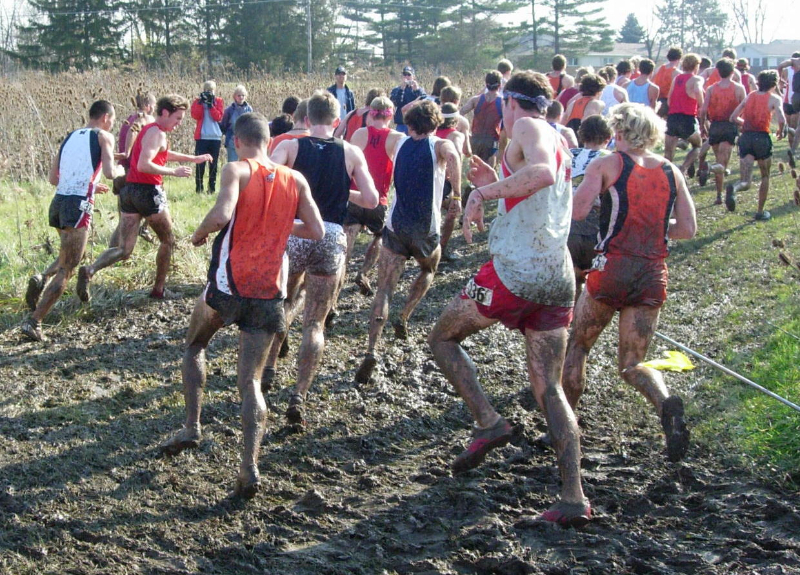 For those interested and old enough , the Northern Vets Cross Country Championships are being held at Victoria Park Warrington on Sunday Mar 1st.